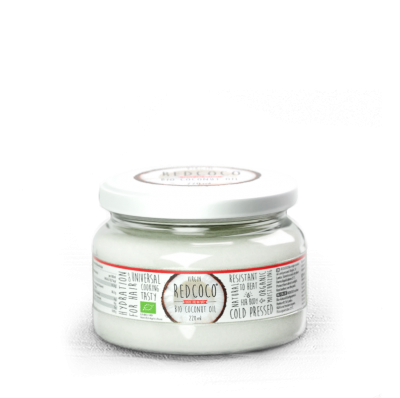 REDCOCO oil has a very good taste and smell, like that of fresh coconuts, since it is derived from coconuts and is subjected to very low, if not totally nil heat and sunlight. It is also not refined. Free from trans fatty acids Its unique combination of fatty acids can have profound positive effects on health with powerful medicinal properties. This includes fat loss, better brain function and various other amazing benefits. or a hair mask, protecting against hair damage.